Dual Shaft Blenders come in a wide variety of types and are used for many applications. Technically, they are made of two tubs setting side by side with one shaft sitting in the middle of each tub, thus, dual shafts. The shafts can be driven by one motor and a cross-over drive turning the second shaft. Or, they can be driven by two different motors. These shafts can turn in the same direction, opposite directions, or reverse direction from time to time. The two main shafts can be overlapping, i.e. so close together that each one is pulling product away from the other one. Or, they can be just far enough apart to keep them from touching. With independent drive motors on each shaft, you can work one shaft against the other shaft and even run them at different rpm speeds or in different directions. They can use any type of ribbon or blade style that is used on other industrial blenders. If you have an interest our industrial mixers, please call one of AIM Blending Technologies, Inc. applications design experts. Dual Shaft blenders do tend to be application specific and we can help you sort out what type you are looking for. Like our other blenders, they can be made in pharmaceutical, nutraceutical, food grade, or chemical grade machines. Materials can be 316 stainless steel, 304 ss, exotic steels or even mild steel and painted your choice of colors. We have made continuous models of dual shaft blenders from small sizes up to 700 cu ft auto-reversing high performance blenders. They can be designed with an end discharge, bottom discharge, bomb bay door discharge or any other type chosen for a customer's specific application. Refer to the list below of standard equipment features. 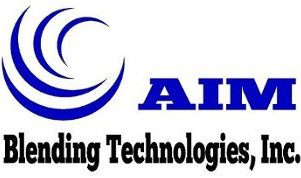 It illustrates that AIM Blending Technologies, Inc. includes more features on its blending machines as standard at no extra cost than other manufacturers. In fact, we offer a written guarantee which states that we offer more machine for the investment dollar than any other manufacturer worldwide. You can certainly purchase lower cost machines, but buyers who are looking for a blender with quality design and construction will see that we pack more quality features and superior craftsmanship into our machines than anyone at a comparable price. Our philosophy is all about giving our customers the most value for their investment dollar. Call our sales team today to discuss your needs, our designs, and what extra quality you can get with your purchase when you AIM For The Best. Sample blends are welcome.